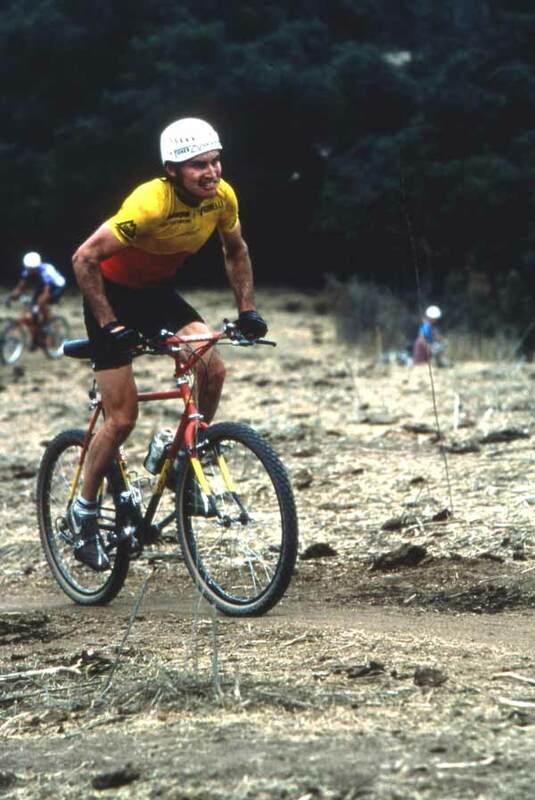 More than just a name on Kona and Voodoo top tubes, Joe Murray was a racer as well as a designer and was one of the very first inductees into the Mountain Bike Hall of Fame. 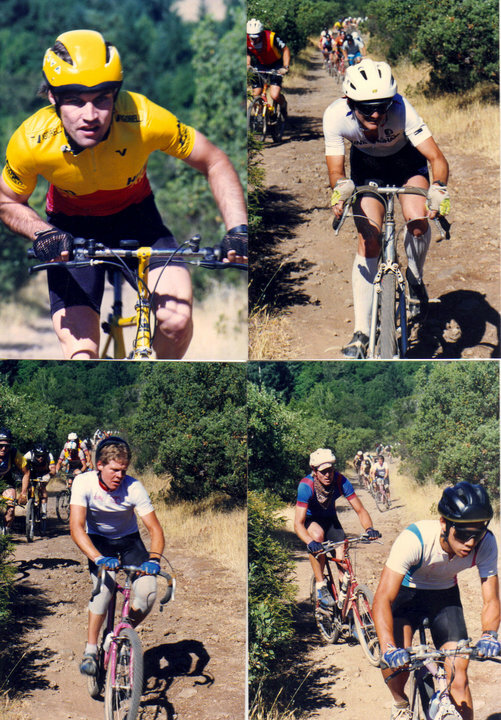 Joe grew up in Marin County, considered one of the birthplaces of mountain biking. 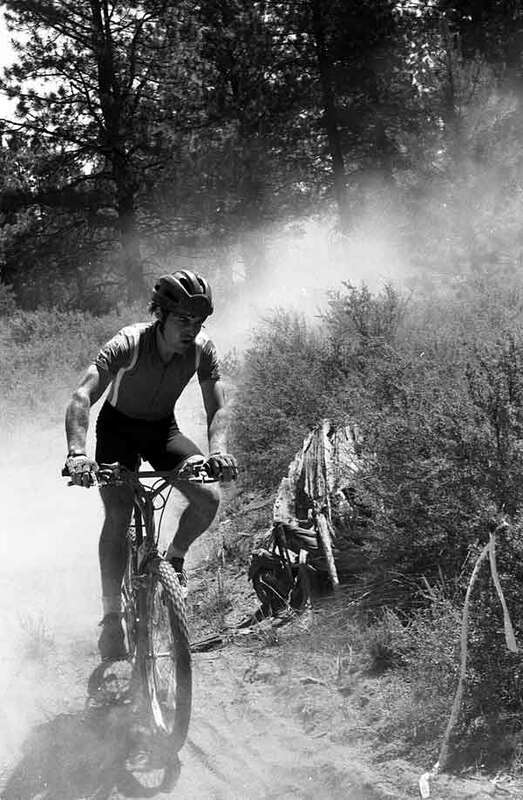 In the ’83 racing season, in the largest and most popular mountain bike race, the Rockhopper, Joe finished 4th. Relatively unknown, Joe was soon noticed as someone to reckon with. Sure enough, next year Joe established himself as the one to beat. In 1984 Joe had 8 straight victories, 15 victories for the year and finishing it off as NORBA National Champion. The next year, continuing his success with 12 straight victories (unmatched by any male in mountain bike racing) and a second National Championship. Joe designed the first titanium mountain bike frame, tyres for three different companies and the 1993 Mountain Biking Magazine’s Bike of the Year. We hope you enjoy this next interview with another of our heroes, Joe Murray. 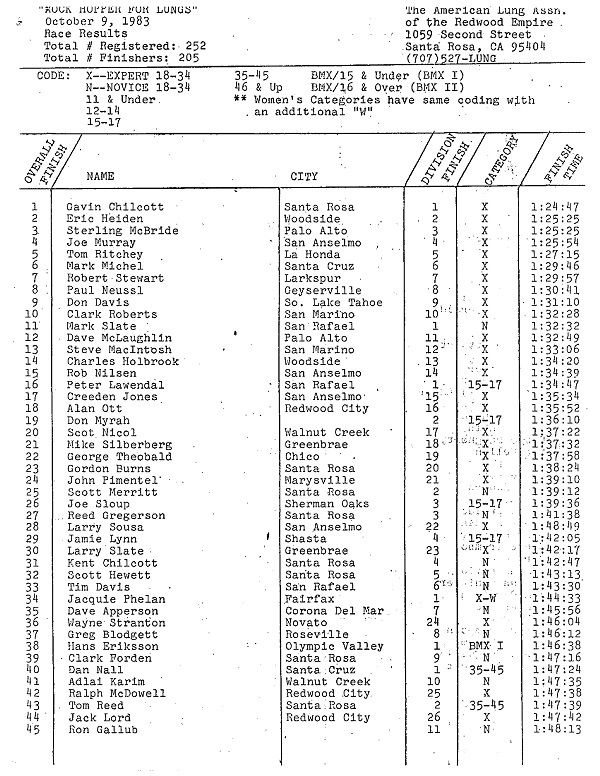 1985 racing in the Suntour Pacific States Series in Bend, Oregon. OSMTB: What’s the nicest frame you’ve ever ridden and who built it? Joe Murray: Currently it’s a VooDoo prototype called the Z-29, a 130mm travel 29er. This changes regularly as technology changes, yet I would say my VooDoo titanium 26 inch single speed is at the all time top of the list nicest riding bike. OSMTB: What kind of bike would you like to have built but didn’t? Joe Murray: Carbon full suspension. Tooling cost is very high. OSMTB: What´s your job now? Joe Murray: Shimano product testing and VooDoo product design. OSMTB: Do you still have any relationship with Kona? Joe Murray: Not really. I see the guys at the shows and sometimes I’ll hang out and talk, have a beer etc. OSMTB: What bikes do you keep as a treasure? Joe Murray: Ritchey Team Comp bike, one of the first 15 built for the team in 1984. Late 80’s Kona Hei Hei. Kona custom single speed from about 1993. VooDoo D-Jab titanium from 1998. OSMTB: Were you involved in the development of all the products that had your name? Joe Murray: Yes. Did all the drawings, prototype testing and etc. OSMTB: What did you do after the split with Kona? Joe Murray: Took three years off to go ride and ski. OSMTB: What’s your plan with Sendero Cycles? Joe Murray: Currently no plan. I need to get it together and start building again, yet so many other things happening, so it’s not high enough on my list, admittedly. OSMTB: What bikes do you personally own? Joe Murray: About 20 now. 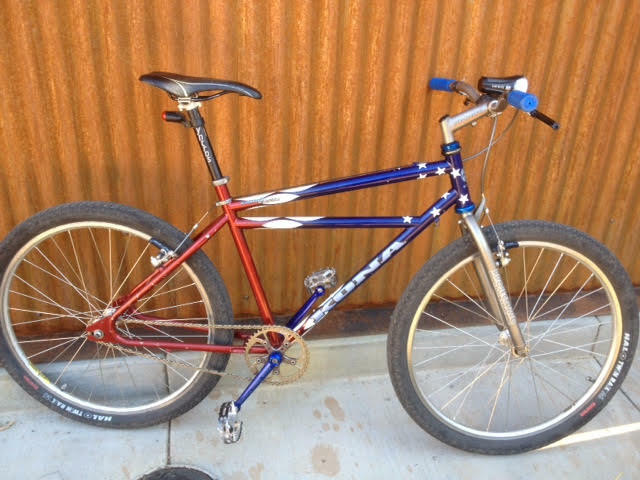 The bikes I ride now are the VooDoo Z-29 29er, Ibis SL, and Santa Cruz Tallboy. Also a VooDoo Nakisi 29er townie for getting around town. OSMTB: Do you have a favorite model/year Kona from your time there? Joe Murray: Hei Hei from no particular year. OSMTB: Whose idea was it to throw paint at the early Kona frames? 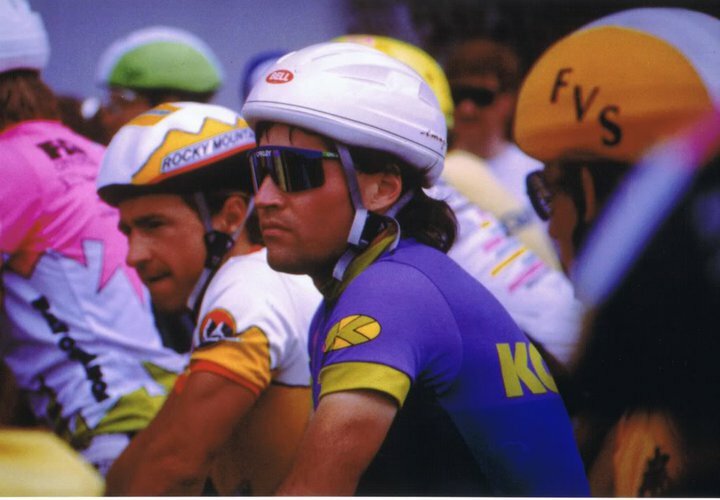 Joe Murray: Don’t recall, yet it was the style at the time like neon colors and lycra. OSMTB: As well as designing the early Kona’s, have you designed any prototypes? Do you build your own frames at home? Joe Murray: All designs start out as prototypes. I have built Sendero bikes in my shop. OSMTB: What are your cycling influences, who got you interested in cycling and mountain bikes? Joe Murray: I rode a bike since 6 or 7 years old I think. Always rode a bike, yet when “cruiser” bikes became popular where I grew up in Marin County California, this is where I got into riding off road. Mountain bikes started when we put gears on these cruiser bikes starting from there. OSMTB: Were there any technical issues that led to the future shock being stopped or did it just not catch on in the market? Joe Murray: Not really any issues other than that telescoping shocks came out and that market was not where we were focused since we at Kona were building bikes, not higher tech parts. OSMTB: What is, in your opinion, the least successful (worst) year/model of Kona and why? Joe Murray: Can’t think of any since there were all hardtails at the time. So it was easy to get it right. OSMTB: Was there ever anything you really wanted to do, but were restricted by budget, bosses, office politics etc.? Joe Murray: Developing components. Not so much financial yet decisions based on development and what it takes to make it happen. 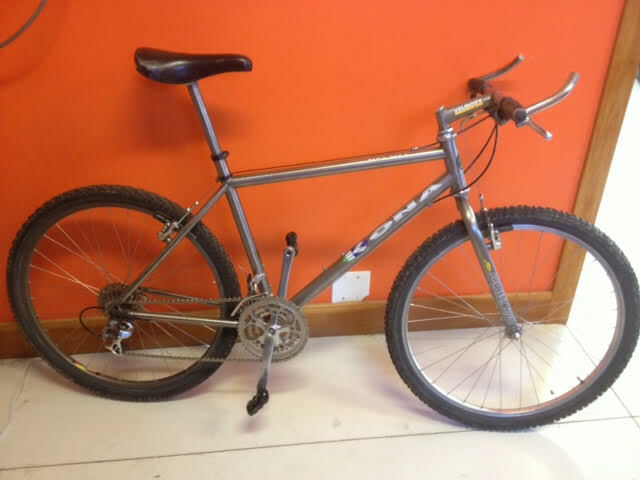 OSMTB: What was/is your favourite Kona and why?…..a Hei Hei, a Hot an Explosif maybe? OSMTB: Would you ever go back and do a special oldschool edition with Kona?? Joe Murray: Probably not. Kona is doing what they do. Maybe they might, yet not in my plans. OSMTB: Did you used to enjoy racing back in the day? And do you keep in contact with the other racers from back then now? Joe Murray: Racing was my life and it was great. I do see many of the old school racers occasionally like Ned Overend and John Tomac. OSMTB: Why did you never jump on the e-stay bandwagon? Joe Murray: The frames were heavier, more flexible and not as durable. They did not really catch on as a result. Joe’s old Hei Hei. About as much titanium as possible and 99% original . From 1990 more or less. OSMTB: Have you kept, and ride, any VooDoo bikes you helped design? Joe Murray: Yes I keep a few, a ride them a bit, yet want to keep them in good condition so they mostly hang on the wall. OSMTB: Are you still involved with their modern products in the same way as when he first started out with them? Joe Murray: Yes I do ride, test and design modern everything. OSMTB: What was the relationship with VooDoo? OSMTB: Did you just design bikes for them or was it your brand that you later sold on? Joe Murray: I design the product only, not much as far as any other responsibilities in VooDoo company operations. OSMTB: What have you been up to recently? Joe Murray: Riding always. Shimano product development and testing work. Also I do work for VooDoo Cycles and Marin Bikes. Being busy keeps me out of trouble, mostly. Joe’s commuter bike. A limited edition made with Tange tubing that they never sold yet was given to select people and some dealers. Same paint as the A’ha yet frame is much lighter. OSMTB: How the new Voodoo bikes compare to the bikes you raced back in the day? Joe Murray: We still make steel, titanium and aluminum frame bikes and mostly hardtails like we always have, yet of course they now use modern geometry and current components. Joe Murray: Dropper seat posts. 27.5 wheels. Carbon frames. Suspension technology. OSMTB: What makes a really rideable MTB? Joe Murray: Good suspension design. OSMTB: Where have you ridden lately? Joe Murray: Sedona, Arizona. Which is an hour drive from my house and one of my favorite places to ride. ← Rob Warner rides again!